By the latter part of May 1970, feelings about the war in Vietnam had become almost unbearably intense. In Boston, about a hundred of us decided to sit down at the Boston Army Base and block the road used by buses carrying draftees off to military duty. We were not so daft that we thought we were stopping the flow of soldiers to Vietnam; it was a symbolic act, a statement, a piece of guerrilla warfare. We were all arrested and charged, in the quaint language of an old statute, with "sauntering and loitering" in such a way as to obstruct traffic. Eight of us refused to plead guilty, insisting on trial by jury, hoping we could persuade the members of the jury that ours was a justified act of civil disobedience. We did not persuade them. We were found guilty, chose jail instead of paying a fine, but the judge, apparently reluctant to have us in jail, gave us forty-eight hours to change our minds, after which we should show up in court to either pay the fine or be jailed. In the meantime, I had been invited to go to Johns Hopkins University to debate with the philosopher Charles Frankel on the issue of civil disobedience. I decided it would be hypocritical for me, an advocate of civil disobedience, to submit dutifully to the court and thereby skip out on an opportunity to speak to hundreds of students about civil disobedience. So, on the day I was supposed to show up in court in Boston I flew to Baltimore and that evening debated with Charles Frankel. Returning to Boston I decided to meet my morning class, but two detectives were waiting for me, and I was hustled before the court and then spent a couple of days in jail. When I first stumbled across this video of Matt Damon reading Howard Zinn's statement on civil disobedience, I didn't realize that Damon was reading from Zinn until about three paragraphs in. Damon breathes new life into the 43-year old statement and dynamically delivers its punch as convincingly as if he were Zinn himself. If you don't think, if you just listen to TV and read scholarly things, you actually begin to think that things are not so bad, or that just little things are wrong. But you have to get a little detached, and then come back and look at the world, and you are horrified. So we have to start from that supposition—that things are really topsy-turvy. And our topic is topsy-turvy: civil disobedience. 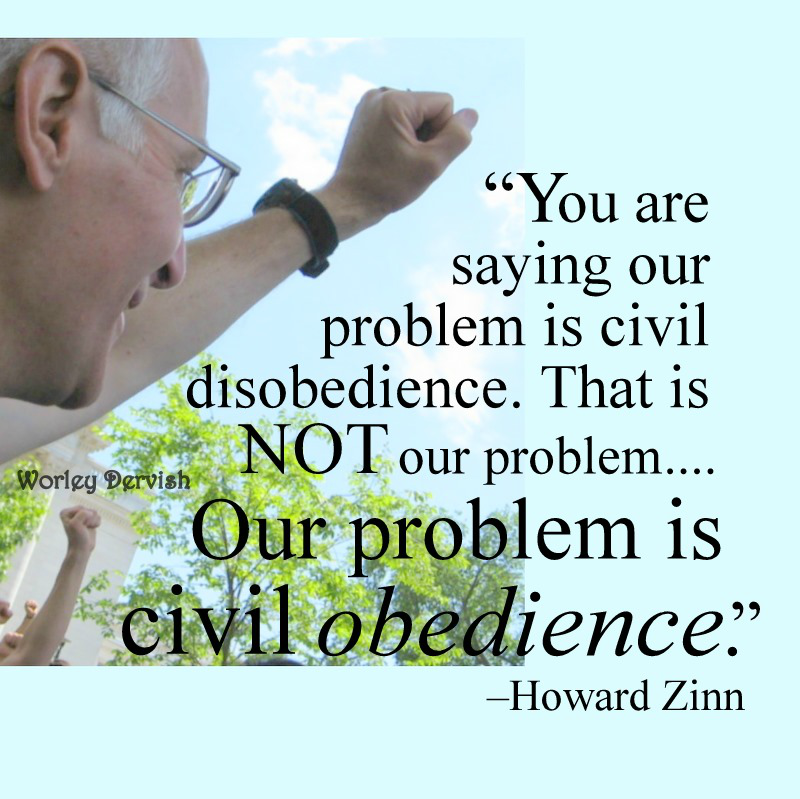 As soon as you say the topic is civil disobedience, you are saying our problem is civil disobedience. 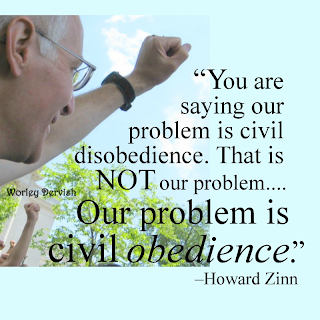 That is not our problem.... Our problem is civil obedience. Our problem is the numbers of people all over the world who have obeyed the dictates of the leaders of their government and have gone to war, and millions have been killed because of this obedience. What we are trying to do, I assume, is really to get back to the principles and aims and spirit of the Declaration of Independence. This spirit is resistance to illegitimate authority and to forces that deprive people of their life and liberty and right to pursue happiness, and therefore under these conditions, it urges the right to alter or abolish their current form of government-and the stress had been on abolish. But to establish the principles of the Declaration of Independence, we are going to need to go outside the law, to stop obeying the laws that demand killing or that allocate wealth the way it has been done, or that put people in jail for petty technical offenses and keep other people out of jail for enormous crimes. My hope is that this kind of spirit will take place not just in this country but in other countries, because they all need it. People in all countries need the spirit of disobedience to the state, which is not a metaphysical thing but a thing of force and wealth. And we need a kind of declaration of interdependence among people in all countries of the world who are striving for the same thing. There are so many quality pieces to read today, on this the fiftieth anniversary of the assassination of President Kennedy that I thought I'd just write a brief post with my personal recollection along with links to several worthwhile posts and articles to mark the occasion. I remember exactly where I was when I learned that President Kennedy had been shot. I was 7 years old. In the second grade. I was just getting back to school after having been home for lunch. A kid came up to me on the playground outside and said, “The president’s been shot.” I said, “The president of what?” Because I just couldn’t comprehend that the president of the United States could be shot. 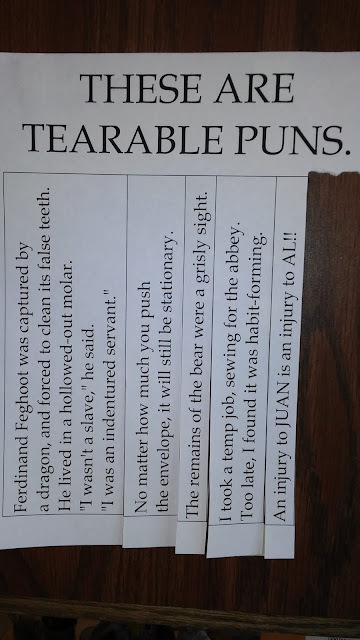 That was just not possible. Whenever I think about it, I still feel like that shocked little kid. I remember watching the funeral on television with my family. How could it be real? I remember my heart hurting when John-John saluted his father. It never seemed like it could possibly be real. It still doesn’t. Claire Conner, daughter of two of the ultraconservative John Birch Society's founders, witnessed President Kennedy riding by in the motorcade moments before he was shot. She recounts the experience in her excellent book Wrapped in the Flag. You can read an excerpt about the assassination here. Veracity Stew covers the story of the famous Zapruder film here. The New York Times has an interactive feature on its 1963 coverage of the assassination here. 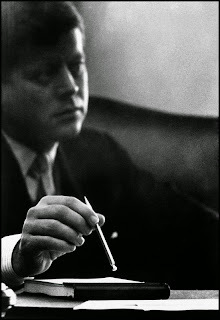 The photo at the right of President Kennedy in 1961 is by Cornell Capa (© International Center for Photography/Magnum.) 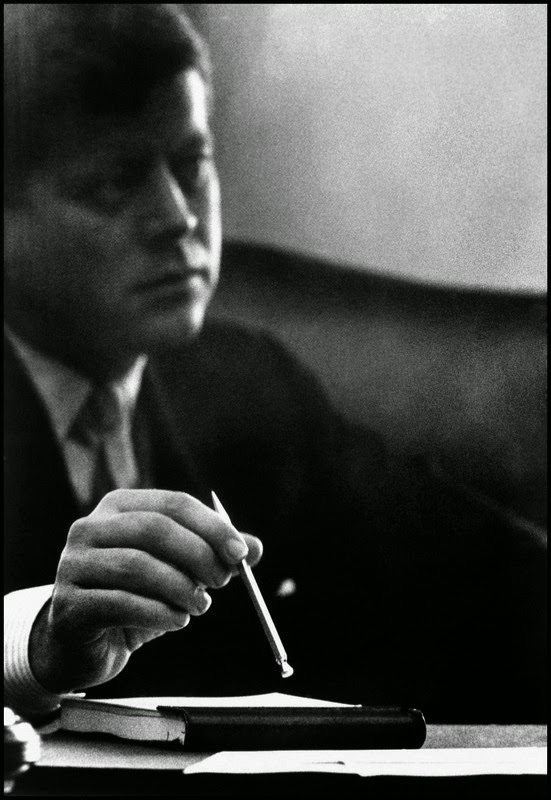 and is from the New Yorker's slide show "Losing President Kennedy." 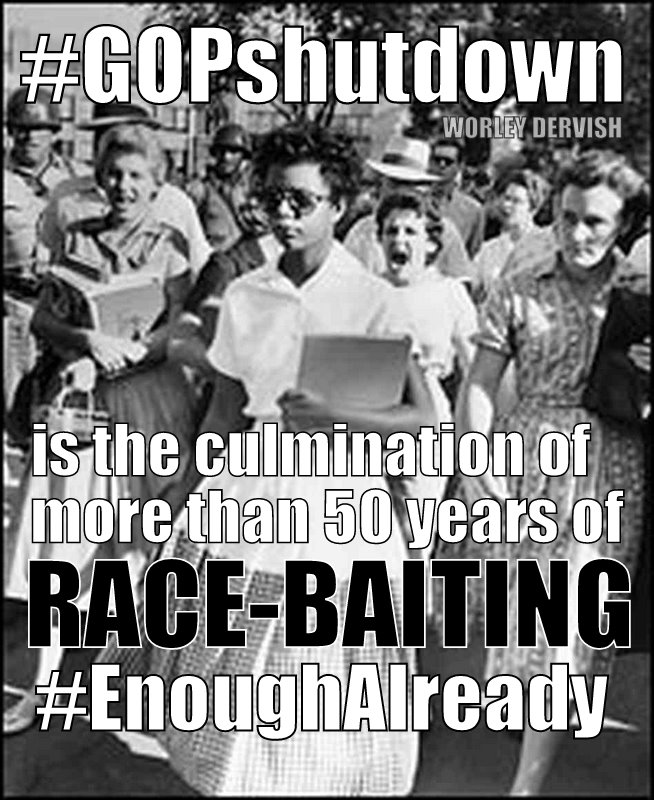 One of the best articles is from the Washington Post: "50 Years Later: Four Shattering Days." And finally, there's this really fine piece from my friend James at the Everlasting GOP Stoppers: "Let Us Begin, Again." I'm sure I've left out many more fine remembrances, but these are the ones that drew my attention this morning. Even though I was only seven years old when it happened, it still feels to me as though President Kennedy's assassination fundamentally altered the universe. Of course, what it actually altered was my perception of the universe, of our country. In my seven-year-old mind, it registered that even great leaders could be killed and that the world is a profoundly unpredictable place where heart-rending tragedy can strike in the next bright, golden moment. 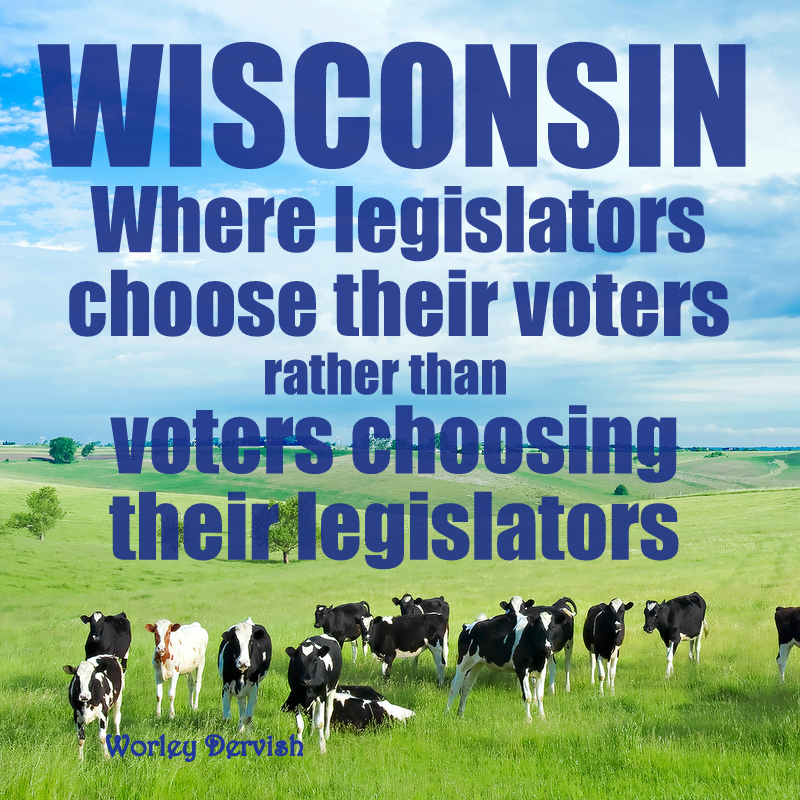 In Wisconsin, as in other states, democracy is being gerrymandered to death, and now is the time for us to put pressure on the Wisconsin legislature to put an end to partisan redistricting. In 2012, Republicans won just 46 percent of the votes cast in Wisconsin Assembly races, whereas Democrats won 53 percent. And yet 60 percent of that body are Republicans. Also in 2012, Wisconsinites cast 43,020 more votes for Democrats than Republicans in U.S. House races, but statewide we are "represented" by five Republicans and three Democrats. In neither case could you call the election results a mandate. And yet, Republicans are so secure in their gerrymandered little seats that they can openly fly in the face of what the majority of Wisconsinites want. Rather than being concerned with the needs of the majority, the Republicans continually pander to the needs of the corporate backers whose big money put them in office. In 2012, after a secret and expensive redistricting process, Republicans increased their dominion over the Legislature despite getting fewer total votes than Democrats. They like the current system so much they haven’t even allowed public hearings on bills, AB 185 and SB 163, that would turn this task over to the nonpartisan Legislative Reference Bureau. In response, media editorial boards across Wisconsin have launched a campaign urging citizens to contact GOP legislative leaders. And records obtained by the Wisconsin Center for Investigative Journalism show that many people are doing so. And we should, too. Because we seldom have the mainstream media on our side, but in this case we do, along with eight lobby groups such as Common Cause in Wisconsin and the League of Women Voters of Wisconsin. And we should make every effort to take advantage of that. What's happening here is that the Wisconsin media and citizens lobby groups are attempting to shame the shameless WI GOP into action. Regardless of the outcome, this is a project I want in on. 1. Your state senator and representative. If you're not sure who they are, you can find out here. If you know who they are but need their contact information, check here for the senate and here for the assembly. It may seem like there's some work involved here, but it's trivial compared with all that stands to be gained and all that has been lost. Besides, how many opportunities do we have to weigh in on the right side of history? Many of you who've read previous posts in this blog know that I participate as often as I can in the Solidarity Sing Along﻿, which has been singing songs of protest at the Wisconsin State Capitol every weekday from noon to 1 since March 11, 2011 (toward the end of that little uprising we had going on at the time). And many of you are no doubt aware that our ignominious governor, Scott Walker, has presidential aspirations, and like many such hopefuls he has written a book (with the help of a ghostwriter) titled "Unintimidated: A Governor's Story and a Nation's Challenge." "I've never met anyone who wants to be president more," said U.S. Rep. Mark Pocan, a Democrat from Madison who served in the state Assembly during the union fight. “We knew the book was coming. We know he’s traveling all over the country. It would be nice if he put even a portion of that energy into creating jobs in Wisconsin." 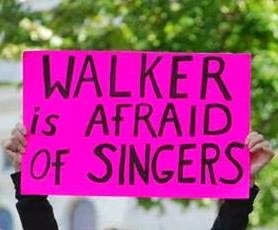 In fact, Walker is seldom even in Wisconsin, and when he is, he keeps his appearances brief and well guarded, lest he should suffer the indignity of being confronted by his singing detractors. 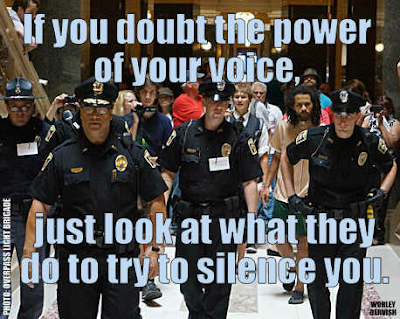 Walker and the state Department of Administration have gone to great lengths to silence the singing and stifle dissent, all to no avail. As we like to sing, "Until that day when justice holds sway, we're not going away!" During July and August of this year, more than three hundred arrests were made by the Capitol Police: 350 citations were issued, and 16 criminal charges were filed. Those targeted were not only participants but even just observers and those photographing the sing alongs. Journalists, senior citizens, and teenagers were among the arrested. Handcuffs were used as well as "pain compliance" techniques, although the charges amounted to little more than traffic citations. 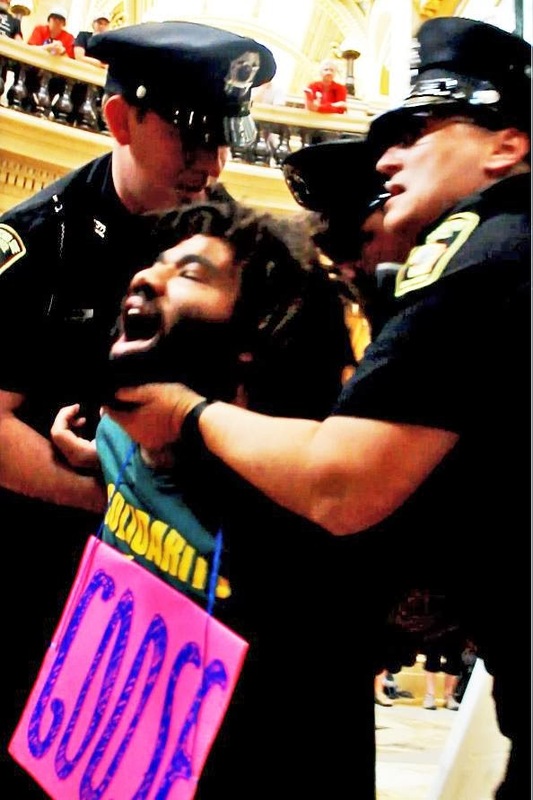 [The Capitol Police] used pain compliance on CJ Terrell to make him leave the rotunda after he was told he had been identified as a participant in an unlawful event. CJ was charged with obstruction and resisting arrest and released from jail a $701 bail later in the afternoon. At the same time CJ was being arrested, Capitol Police tackled and drove to the ground his brother Damon, who was there to photograph arrests. Damon was charged with felony battery of a police officer and taken to jail. Rather than discouraging participation, the violent crackdown induced more Wisconsinites to come to the capitol to show their support for the sing along. The day after the Terrell brothers were arrested, more than three hundred filled the capitol rotunda. Last month, Walker "threw in the towel" in the words of Matthew Rothschild of The Progressive. His administration settled a lawsuit with the ACLU of Wisconsin. As part of the agreement, protesters no longer need to have a permit to protest in the state capitol. All they have to do is notify the administration. Nor do they have to assume any liability, as they were required to do before. 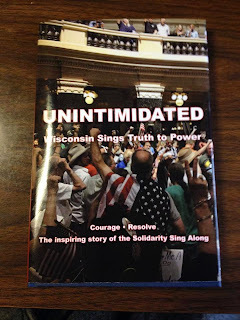 In response to all the intimidation tactics and in anticipation of Walker's soon-to-be published work of fiction, some of the thoroughly uncowed singing patriots have put together a photographic account of the Solidarity Sing Along, entitled "Unintimidated: Wisconsin Sings Truth to Power," which is due to be published at the same time as the governor's. Whereas Walker's book oozes gubernatorial delusions and presidential pipe dreams, from the pages of this book emanate the people's aspirations: for truth, fairness, and transparency, for responsive government of, by, and for the people. Several extremely talented inveterate citizen photojournalists have photographed every single one of the Solidarity Sing Alongs, so there were literally thousands of photos to choose from. Ryan Wherley, a frequent SSA participant who has from time to time contributed to this blog, has supplied the text that accompanies the photographic account of the longest-running singing protest in history. 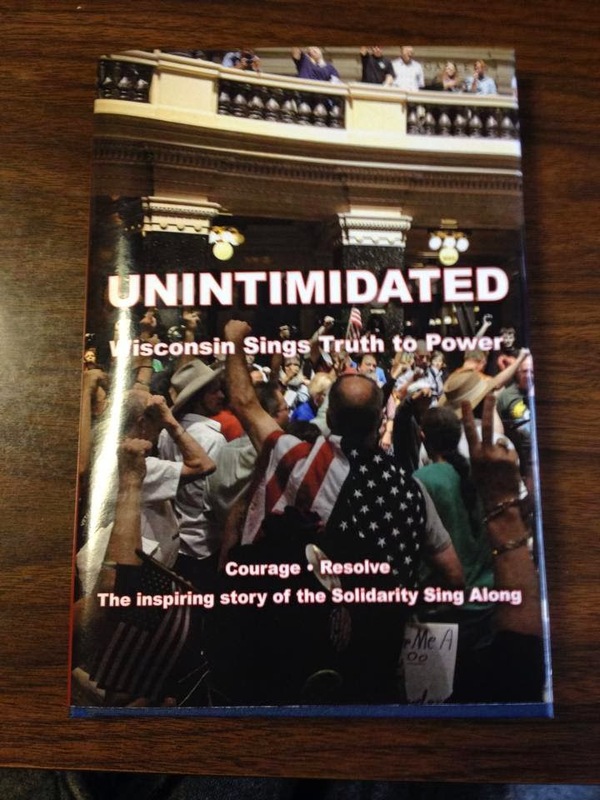 Proceeds from sales of the book will go to the First Amendment Protection Fund to help defray court costs for the many who have been arrested standing up for free speech in the Wisconsin State Capitol. 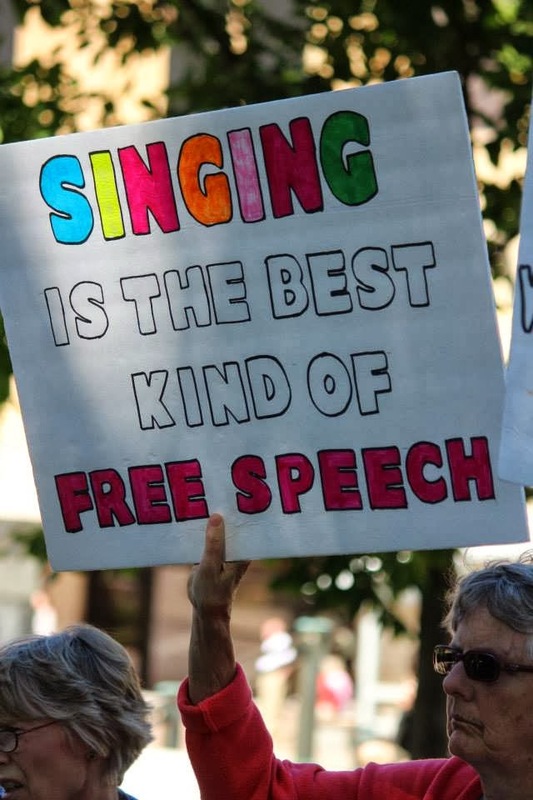 Don't miss this opportunity to get this extraordinary account of the Solidarity Sing Along and to support free speech and freedom of assembly at the same time. So, you tell me, who's unintimidated in Wisconsin, and who's been doing the intimidating? Earlier this week, the Texas Solidarity Sing Along (yes! there's one in Texas!) posted a link on Facebook titled "Have your say: Can protest songs really change the world?" I'm so glad you asked! And, why yes, I believe they can! The folks at ONE, an advocacy organization cofounded by Bono and dedicated to ending extreme poverty, have since June been engaged in an effort they call "agit8: Iconic protest songs that have changed the world," which features high-profile performers recording their versions of some well-known, some less-well-known protest songs. The aim is to inspire people all around the world to take action. It displays the words "come together" in large type. Like coming together for a performance? No. Like raising our voices together? Yes! Just as it says, that's when extraordinary things can happen. Like the Singing Revolution that took place in Estonia in the late 1980s, in which, according to the documentary film, three distinct Estonian political groups sang their way to unity and a nonviolent revolution that freed them from Soviet rule. 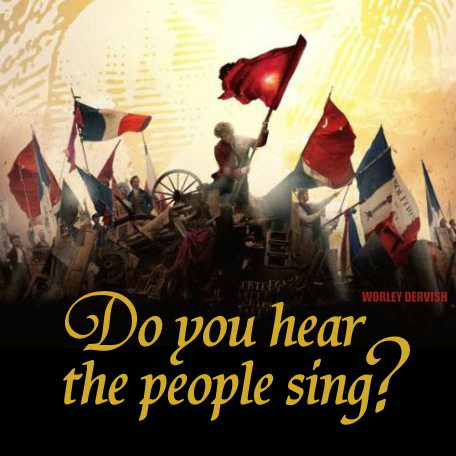 Like people all over the world who have been so inspired by the song "Do You Hear the People Sing?" 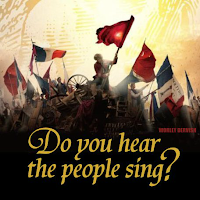 from Les Misérables that it's been heard from Turkey to Taiwan. Here in Madison, Wisconsin, many of us know firsthand about those extraordinary things that can happen, because we participate regularly in the Solidarity Sing Along, which has been meeting every weekday from noon to one at the state capitol since March 11, 2011. And lately some of us have also been meeting every evening at about 5pm at the capitol to sing until the building closes at 6. If you're local and you're not sure you're ready to sing in the halls of power, you might want to check out the Madison Song Circle, which meets every Wednesday, 6:30-8:30pm, at the Cardinal Bar, 418 E. Wilson. 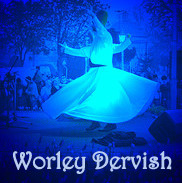 We sing from the Rise Up Singing songbooks in the tradition of a song circle, where we go around the circle and everyone, time permitting, has a chance to choose a song for the group to sing together. Many of us have gotten hooked on singing together. 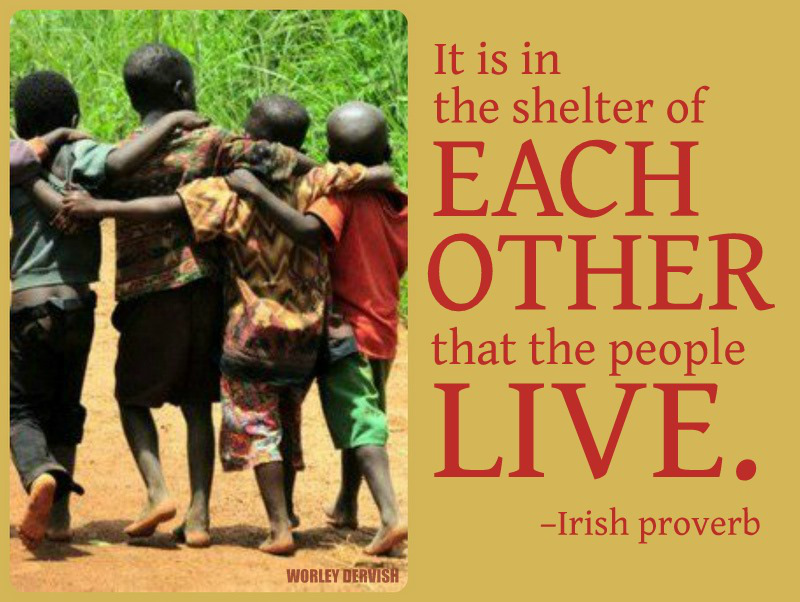 It keeps us energized, focused, hopeful, and connected to each other. Photo by the Overpass Light Brigade. I can hear some of you thinking, "Okay, well, that's nice, but I don't sing." Au contraire. Yes, you do. You may not sing well, you may not feel confident about your singing, but you can sing. In a supportive group. The point is not how well you sing, but simply that you sing. With your friends, with your community. And if you think it couldn't possibly make a difference, think again. Why has the Walker administration tried so hard to silence us, arresting and handcuffing hundreds just because we gather in the rotunda to exercise our right to free speech by singing together about our dissatisfaction with what's happening in our state? Because they know and fear not only the power of our collective voices but also the power of our solidarity with each other. Folks in Texas as well as in Michigan have decided it is time to sing truth to power in their state capitols too. If you're eager to start a solidarity sing along in your state, you can download a copy of Wisconsin's Solidarity Sing Along songbook for free here. Many of the songs have Wisconsin-specific lyrics, so you'll want to put together your own songbook, but this will give you a good idea of what works in Wisconsin, and many of the songs are easily adaptable to other states, especially seeing as how the Republican-controlled states are all working from the ALEC playbook. The fight in Wisconsin is the same as the fight in Texas as the fight in Michigan as the fight in North Carolina as the fight in Turkey as the the fight in Italy... All over the world, people are oppressed and in pain; they feel discouraged and isolated and powerless. And the magic of singing together can help in surprising ways. 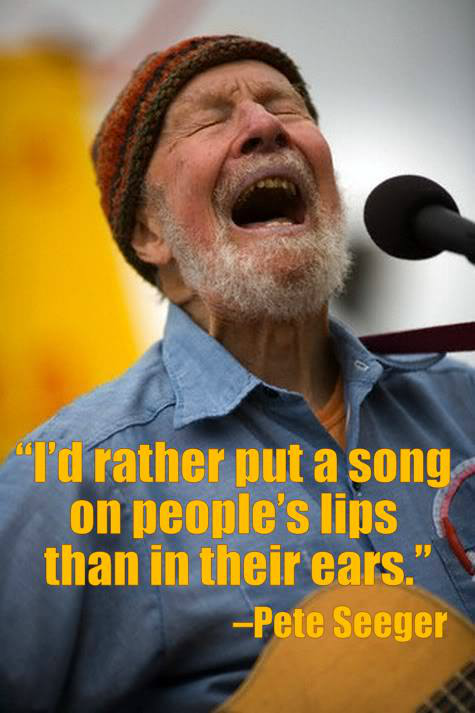 For music to really work its magic, it's not enough, as Pete Seeger would say, to put songs in people's ears. You have to put them on their lips. 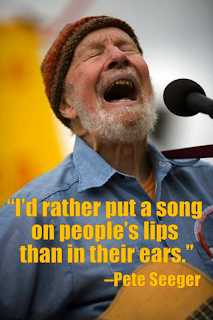 Pete has long advocated starting a singing movement. He would love what's happening here in Madison. What I have learned from Pete over the years is that singing together builds community. It builds strong community. And strong community is exactly what we need in these dark times. Some of the people I've sung with at the SSA, I've never had a single face-to-face conversation with. But singing truth to power has bound our hearts more tightly than it's possible to describe. We are a loose collective, analogous to a neighborhood pickup basketball game, composed of Democrats, independents, anarchists, Greens, Wobblies, teachers, retirees, veterans, union members... Given that our governor has expressly stated his goal to divide and conquer, our solidarity is unquestionably a force to be reckoned with, so much so that the state Department of Administration has done everything it can think of to silence us. Thus far, to no avail. Pretty much all we have is our relationships with each other and the potential for mass action as we build those relationships with trust and respect. The forces arrayed against us are powerful, and they're determined to divide and conquer us, in the worst ways possible. Rebecca is right. Our only recourse is to hold fast to each other, in spite of our differences, in spite of our fears. The solidarity that's required isn't the artificial kind that comes from just taking your cue from the people in charge. It's the kind where you know that no matter what happens, there's a whole slew of people at the ready who will have your back and not back down. One of the best ways to build such a community, to keep our spirits and energy up in the face of overwhelming global corporate power, is to sing together. Often. Loudly. Vociferously. The more we sing, the stronger and more united we'll be. 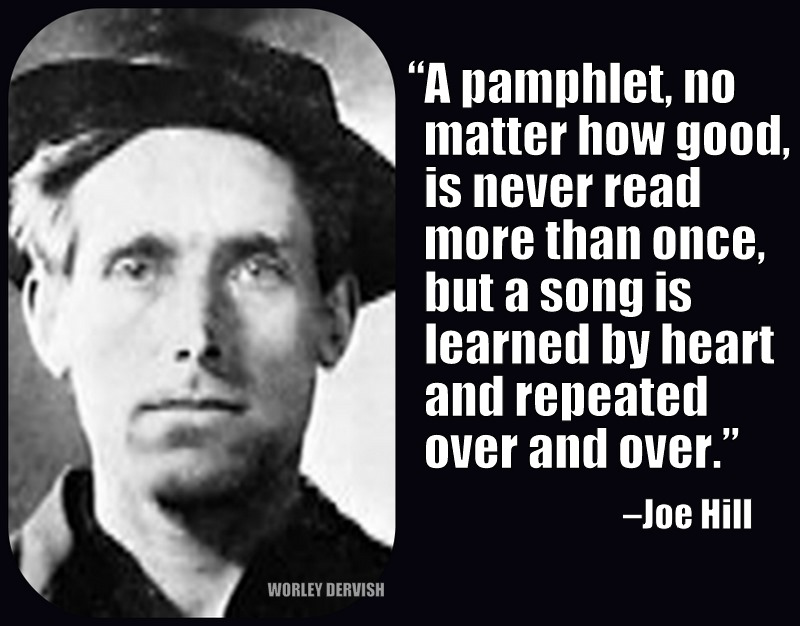 When it's time to run for the barricades, we won't be caught fumbling for our songbooks. 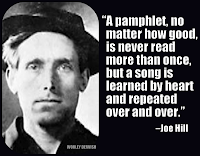 Not that songbooks are bad, but it's a good idea to keep a ready arsenal of songs that can flow from hearts to mouths to the ears of those in power at a moment's notice. If we do, there's no doubt that extraordinary things will happen and that we will indeed change the world. 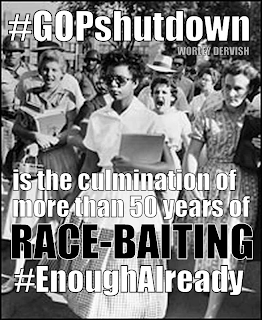 Arlette Saenz on "The Note Blog" at ABC News says that "from the onset of the government shutdown, Black has turned his prayers into punditry, urging Congress to find a way to reopen the government. I would suggest that prayers may often sound like punditry. When we pray for peace, we're opining that peace is better than war. 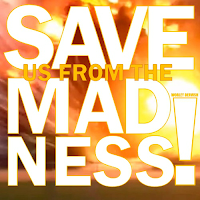 As a resident of Wisconsin, "save us from the madness" is a prayer I've uttered many a time. About 30 or so Republicans in the House, bunkered in gerrymandered districts while breathing the oxygen of delusion, are now part of a cast of miscreants who have stood firmly on the wrong side of history. the first sign of madness when the Democrats first truly wielded power after the Southern Strategy bore fruit under Reagan. ... In the end, I could only explain the foam-flecked frenzy of opposition to Clinton and Obama by the sense that the Civil Rights Revolution of the 1960s was the defining event for a certain generation, that the backlash to it was seen as a restoration of the right people running the country (i.e. no minorities with real clout), and that Clinton’s and even more Obama’s victories meant this narrative was revealed as an illusion. This is compounded by racial and cultural panic—against gays, immigrants, Muslims, Latinos etc—and cemented by a moronic, literalist, utterly politicized version of Christianity. This mindset—what I have called the "fundamentalist psyche"—is what is fueling the rage. ... It is inherently irrational. Have mercy upon us, oh God, and save us from the madness.